on the waters of St Johns River in beautiful St. Augustine FL. The Most Fun You’ll Ever Have On The Water! Wet Cat APB offers exclusive CraigCat boat & Aquanami Jet Kayak rentals in Palatka. Spending the day exploring the waterways is exciting and fun aboard our exhilarating catamaran boats, a complete package of water excitement and adventure. The JETANGLER was developed specifically for the outdoor adventure lover. It was designed by fishing and hunting enthusiasts. The powerful jetANGLER kayak is almost 38“ wide and over 16“ high. It is extremely stable in the water and actually difficult to over turn. It is a sports enthusiasts dream machine! The CraigCat E2 Elite is the perfect balance of precision aquatic handling and ergonomic comfort. Full of features and long on excitement! This is the most luxury ever offered within Small Power Boats. It’s the top-of-the-line, high-performance model loaded with our most popular accessories. 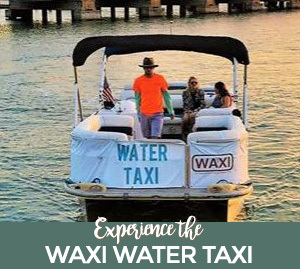 We take walk-in’s, but we strongly recommend making a reservation to ensure availability so you get the watercraft you want. NOTE: If you are unable to complete the boater safety course in time, we can issue a temporary card at our facility that will be valid for 1 year. Click to read a summary of Florida’s boating laws, found in Ch. 327 and Ch. 328 , Florida Statutes. This information is included in all certified boating safety courses taught in Florida. NOTE: This information is accurate as of September 2014 and is subject to change in May of each year. Please call the FWC’s Boating Safety Section at 850-488-5600 for annual updates to this information or questions regarding boating safety course requirements. The CraigCat® patented horizontal, quality catamaran boats have totally redefined the image of recreational boating. A pioneer in small boat design, this state-of-the-art craft offers all the responsiveness, stability and sporty handling associated with a larger boat, that will thrill you to your very soul. Wet Cat Boats is US Military veteran owned and operated, and we are proud to be here in St. Augustine, the oldest city in America. The CraigCat is an ultra-modern speed efficient patented design that offers an exhilarating performance. It features comfortable side-by-side bucket seats and a Bimini that folds back. It offers stability, easy operation and light weight materials for easy portability. The phenomenal deck design does not collect water. CraigCats are the ultimate in design and performance for any recreational water sport, off-shore, lakes or rivers, for playing, diving, fishing, or cruising. The price is outstanding – priced thousands less than other small boats in its category. Thanks to modern technology and radically new state-of-the-art designing, here’s a boat that’s so good it’s patented. Now you can have the best of both worlds-all the comfort of cushioned side-by-side bucket seats with unlimited leg room. Plus all the portability and economy of a small boat. The CraigCat features advanced futuristic functional styling that’s guaranteed to turn heads anywhere you go. It offers the stability and the ride that even amazes the experts. Regardless of your age or your recreational desires, the CraigCat is one high-performance, low cost recreational boat that is indeed versatile. If you like cruising, fishing, diving or just having fun on the water you’ll love what this CraigCat does! !